I just love what I do and find myself so grateful that my job allows me to meet cool people doing really amazing things who also LOVE what they do! Last week I had the opportunity to sit down with Emily McKenna who owns “You’re Maker Studio” in Thomasville GA.
You’re Maker is not only just a sewing studio, they also offer painting classes, crafting classes, jewelry making classes and you name it! I feel like this might be one of the most creative places I’ve set foot in (virtually) in a really long time. Emily is the one that started the business and signed the lease on the gigundo space. But she is not the only one (thank goodness) to teach all the many different classes they offer at You’re Maker. Emily tends to stick to the sewing classes, as well as some jewelry making and other crafty stuff. She subleases to other artists and makers and encourages them to teach in the space, as well! How she used math to finally figure out that she was a creative person and would make this her lifes work. About how her space is part of an award winning downtown. And that other downtowns in the US use Thomasville as their model. We talked about how she doesn’t consider herself an expert in most of what she teaches at You’re Maker, but that she doesn’t let that stop her from teaching other people how to get super creative. We also blabbed about a ton of other stuff. See for yourself and watch the video below. Did you like this interview? Please share it with a friend! We have more Sewing Boss Interviews here! 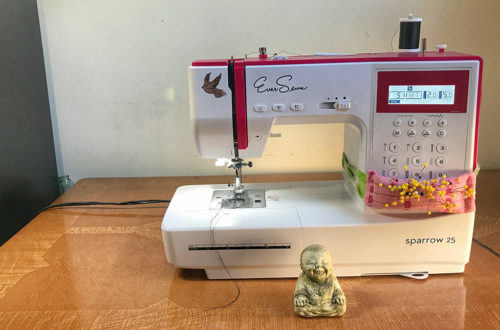 Emily McKenna Owns the a business called You’re Maker and teaches Sewing, Jewelry Making and general crafts in Thomasville GA.
Emily comes from a family of creators and makers and she has been making for as long as she can remember. After scrunchies she started making jewelry, picture frames, pillows, curtains, clothes and lots of other things! Emily has always been a math and science inclined person. Even though she has created her whole life there was always a small voice that told her that her affinity for math meant she was never going to be a real artist and that her creativity would never produce anything polished or impressive. So she mostly made for myself. It wasn’t until college when she was taking some math classes that she realized how much math requires creative thinking. It was at this point she got back into sewing and realized that sewing is impossible without math. 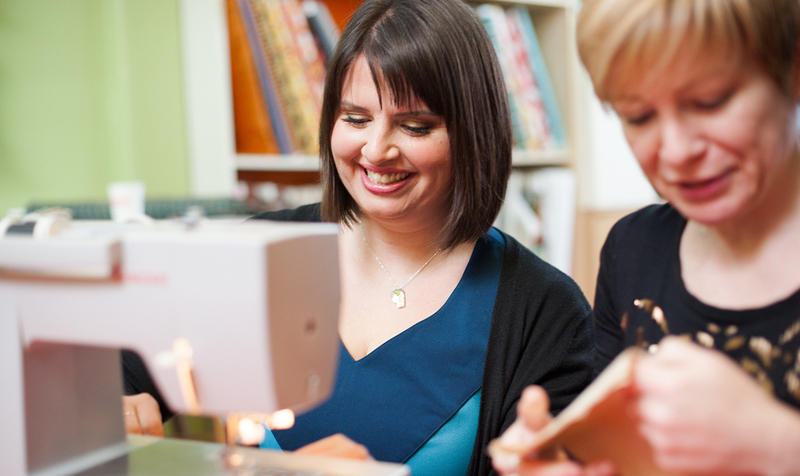 Do You Teach Sewing? Care to Video Chat? We’re Hiring. You too? It’s that time of year.